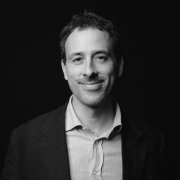 Mario Mariniello is Digital Adviser at the European Political Strategy Centre (EPSC), the European Commission in-house think-tank operating under the authority of President Jean-Claude Juncker. Tasked with a mission to innovate and disrupt, the EPSC provides the President and the College of Commissioners with strategic, evidence-based analysis and forward-looking policy advice. In his capacity of Digital Adviser, Mario leads the EPSC work related to Digital Single Market issues. 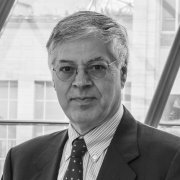 Mario holds a Ph.D. in Industrial Organization from the European University Institute of Fiesole (Florence) and a M.Sc. in Economics from CORIPE (Turin). 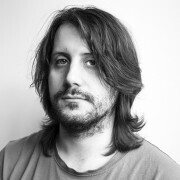 He currently teaches a course in Digital Economy at the College of Europe and has previously taught a course in European Economic Integration for Master students at the Université Libre de Bruxelles (ULB). 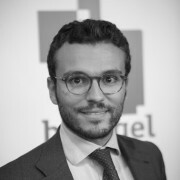 Mario joined the EPSC from Bruegel where he was Research Fellow for Competition Policy and Regulation. 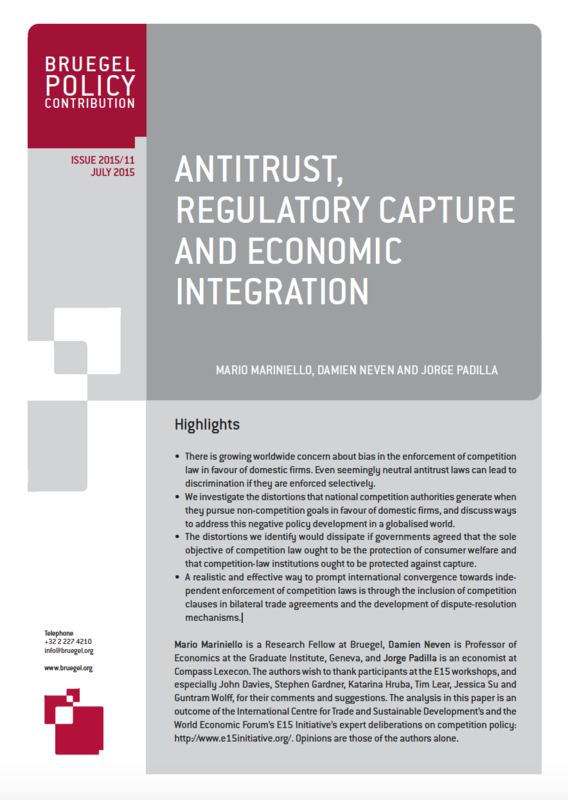 With Bruegel, Mario published extensively on issues related to competition policy and ICT regulation. His columns and policy works have been published or quoted in leading international media, such as Financial Times, Wall Street Journal, New York Times, La Tribune, Der Spiegel, Project Syndicate, Vox, Les Echos, De Standaard and others. He is a frequent speaker at international conferences. 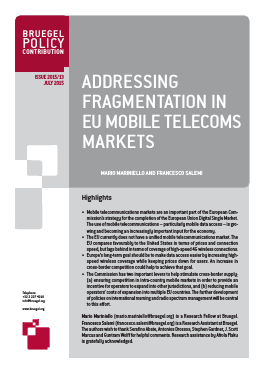 This Policy Contribution looks at EU mobile telecoms markets and analyses potential concrete measures to improve end-users’ access conditions and address EUmarket fragmentation. The paper investigates the distortions that national competition authorities generate when they pursue non-competitive goals in favour of domestic firms, and discusses ways to address this negative policy development in a globalised world. The European Commission's just-released Digital Single Market strategy paper is good news. However, the paper does not spell out how the proposals will be implemented, and thus is of little help in forecasting what will happen next. Be it sluggish growth performance, high unemployment or an incomplete monetary union, completing the single market is often offered as a silver bullet to alleviate or solve most of the current problems of the EU. However, seldom is time taken to explain what the underlying mechanics of the single market are and how the latter is supposed to deliver all these positive effects for the EU. This paper argues that identifying and quantifying the channels through which market integration is expected to engender growth is methodologically complex. 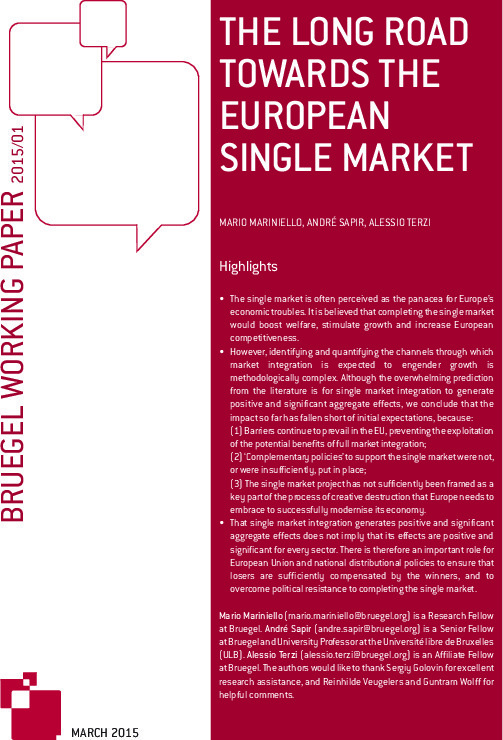 The authors conclude that the positive impact of single market integration has fallen short of initial expectations. The recent ‘tax-sweetener’ state-aid cases against Ireland for its agreements with Apple, Luxembourg with Amazon and Fiat, and the Netherlands with Starbucks have created momentum for those that believe that the European Commission should act to ensure that European countries coordinate their fiscal policies and possibly converge to harmonised corporate tax levels; even Vice President Katainen has recently stressed that a common tax base proposal would help capital union. Foreign takeovers are often a source of concern for national governments. Concerns might be of a strategic nature (for example over deals in the defence sector) or of a more economic nature. In the latter cases, the public perception is often that, because they are less physically or psychologically attached to the host country, foreign investors could more easily take decisions that harm the host economy, such as downgrading the acquired company’s brand or cutting jobs or research expenditure. Foreign takeovers are often a source of concern for national governments. The only consideration in merger assessment that matters for the European Commission, is whether the merger will harm consumers. Member states can intervene only in exceptional circumstances. The European Parliament is about to approve a motion calling for the unbundling of Google's services. But the proposal misses the point: will consumers be better off?